Penn Leather Bracelet with Sterling Silver Tag - Saddle by M.LaHart & Co.
M.LaHart’s University of Pennsylvania leather bracelet is the perfect modern accessory for young men and women., Braided Italian leather cord in saddle, Sterling silver tag measures 10 mm x 10 mm and features color enamel logo, Convenient and secure stainless steel bayonet clasp, Choose from several sizes; Small (6.75”), Medium (7.5”), Large (8.25”), or Extra Large (9"), Signature M.LaHart gift box, Signature M.LaHart gift box. Officially licensed by University of Pennsylvania . Manufacturer direct from a trusted supplier. 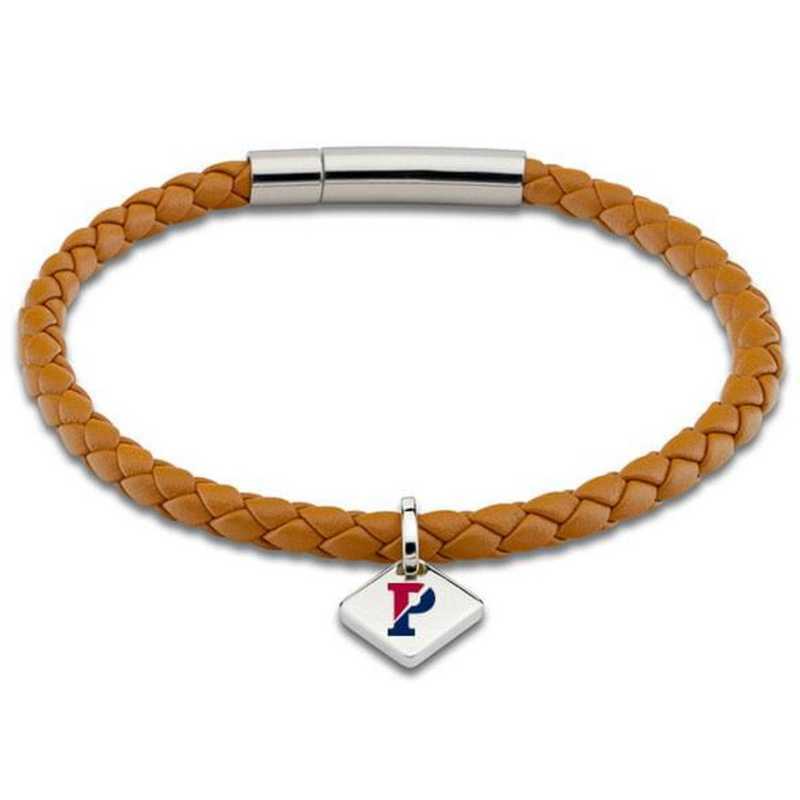 You're reviewing:Penn Leather Bracelet with Sterling Silver Tag - Saddle by M.LaHart & Co.